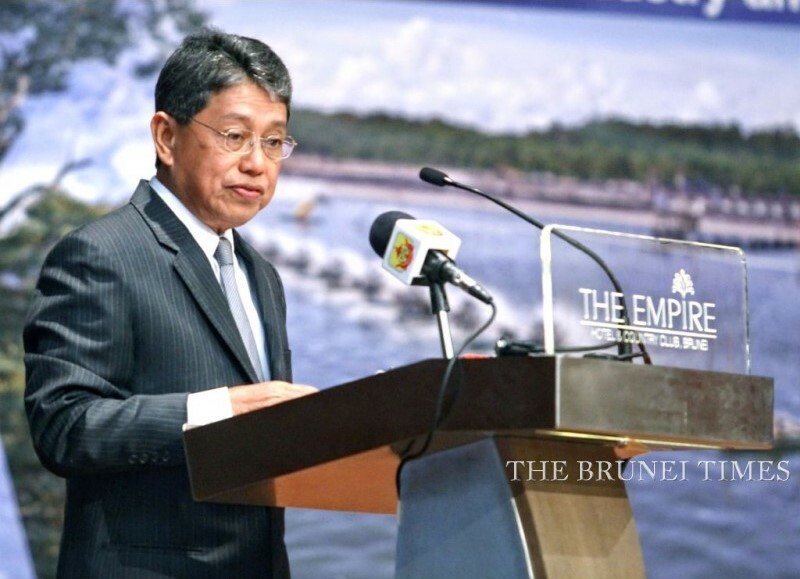 ECONOMIC diversification has become “extremely urgent” as heavy reliance of the oil and gas industry continues to plague Brunei’s economy, the Minister of Industry and Primary Resources said. 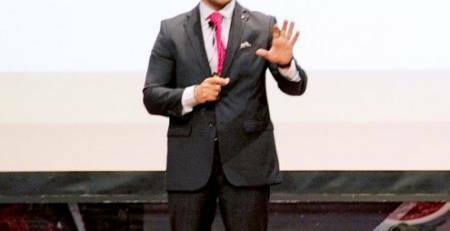 Yang Berhormat Pehin Orang Kaya Seri Utama Dato Seri Setia Hj Yahya Begawan Mudim Dato Paduka Hj Bakar said there is a need for Brunei to multiply the range of products for export. Yang Berhormat Pehin Dato Hj Yahya Hj Bakar delivering his speech at the International Food and Biotech Investment Conference held at Indera Samudra Grand Hall, The Empire Hotel & Country Club yesterday. “(Oil and gas) currently makes up close to 67 per cent of our gross domestic product, represents close to 90 per cent of the government’s revenues, contributes a staggering 96 per cent of our exports, but employs less than five per cent of our workforce,” he said. The minister was speaking during the opening ceremony of the International Food and Biotech Investment Conference at The Empire Hotel and Country Club yesterday. It was previously reported that Brunei is expected to face a budget deficit of $2.28 billion for fiscal year 2015/2016 due to plummeting global oil prices. YB Pehin Dato Hj Yahya said Brunei already has an environment conducive for business, characterised by a stable climate, clean air, low crime rate and one of the highest living standards in Asia. The development of the Brunei BioInnovation Corridor (BIC) is one strategic initiative to achieve these goals, said the minister. “The intention is to create a park that would do research and development, as well as production in the halal industry and bio industry,” he said, adding that this would broaden the country’s economic base and create new core industries and experts. He added that the Ministry of Industry and Primary Resources (MIPR), through the Halal Industry Innovation Centre, has already established several joint research programmes with foreign universities and research institutes. Some members of the audience at yesterday’s conference. The minister went on to say that there is a market for halal products outside of the Muslim community, as there is a global trend towards more organic food products and increasing number of young, educated and ethical consumers who are more conscious about food quality and origin. “It is fair to assume that halal food products, throughout the value chain, from farm to fork, will have a transformative impact, as the approach towards “safe” food will transcend across countries and cultures,” he continued. YB Pehin Dato Hj Yahya said Brunei’s large rainforest coverage meant that there is a potential to develop its bio industry. “Our vast forest and marine resources are yet to be explored to its full potential, thus there is a need to strengthen our collaboration with relevant research institutes in research and development, in order to fully explore the full potential of what our rich and diverse terrestrial and marine resources can offer to mankind. 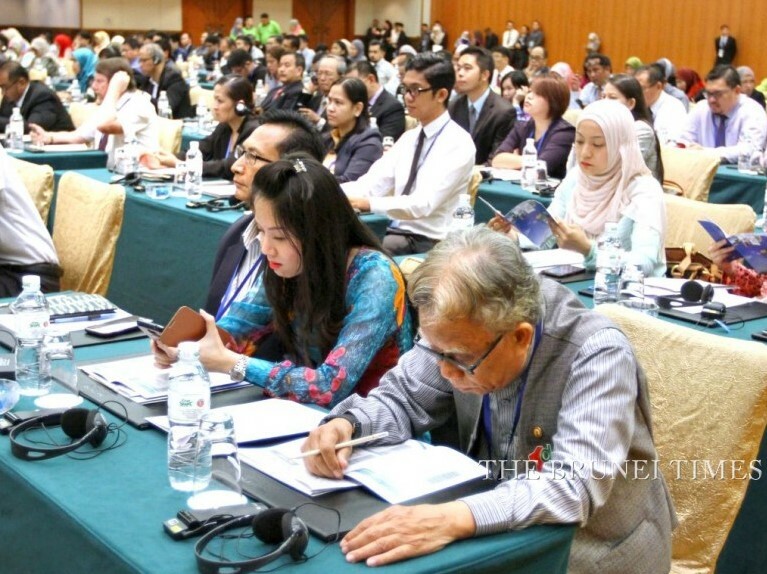 Participants during the International Food and Biotech Investment Conference yesterday held at Indera Samudra Grand Hall, The Empire Hotel and Country Club. “We offer our pristine rainforest and diverse marine resources as natural research laboratories and stations to conduct research and development activities for the development of both forest-based and marine-based biodiversity,” he added. A total of 250 local and international participants comprising investors, government officers and the private sector, were present at the conference. 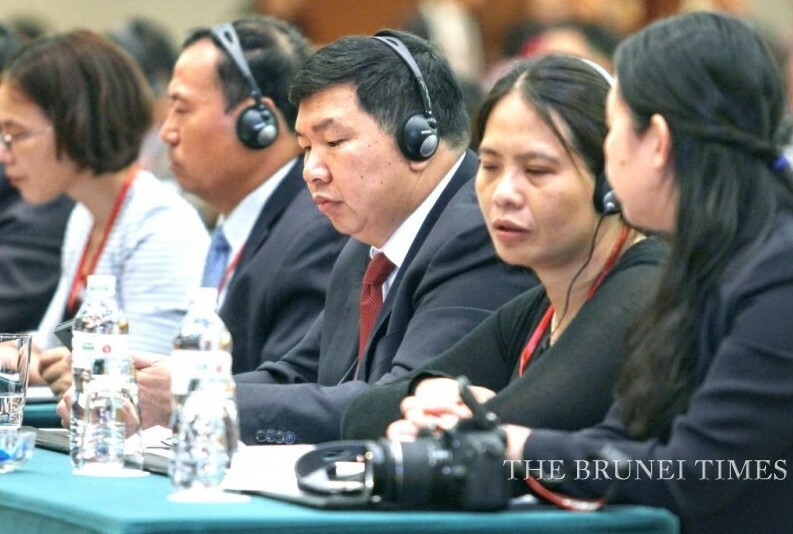 The three-day conference, organised by the MIPR, aims to help Brunei achieve diversification, stay competitive and sustain its economy.